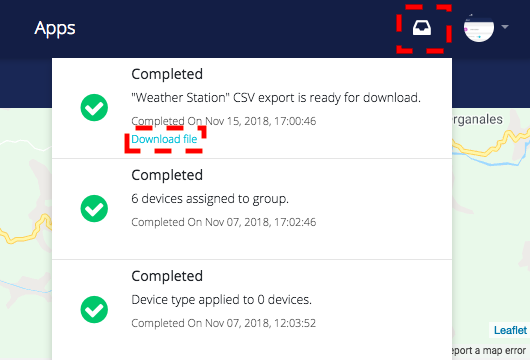 2) Go to Device Management –> Devices and select the Device whose data you wish to export. **if you wish to send the CSV to multiple emails, simply separate them using a comma. 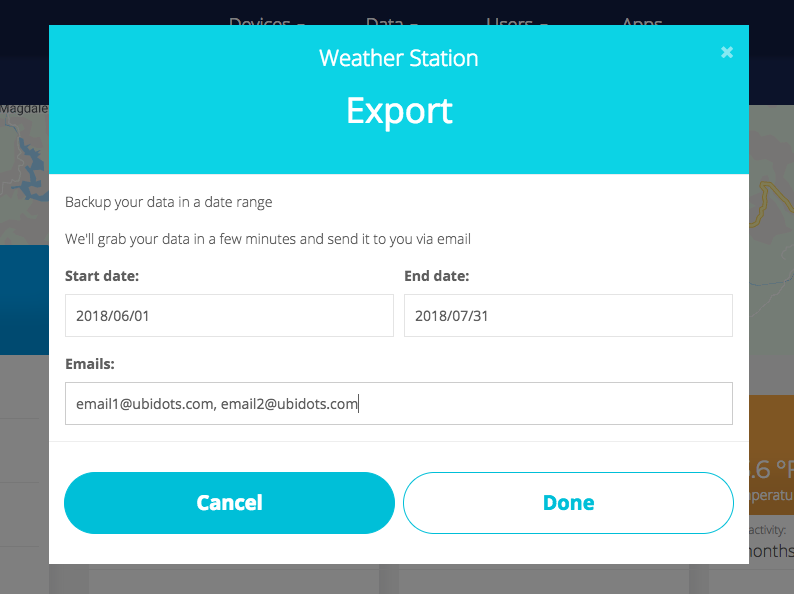 Now it is your turn to create and send data files of your device's data!